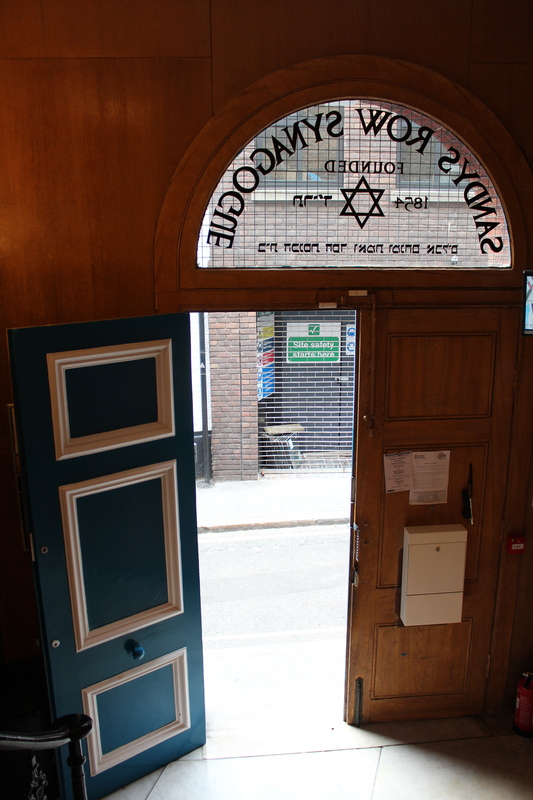 Hidden behind a fairly nondescript brick frontage in one of my favourite warrens of old streets in Spitalfields is London’s oldest Ashkenazi Synagogue – Sandys Row. 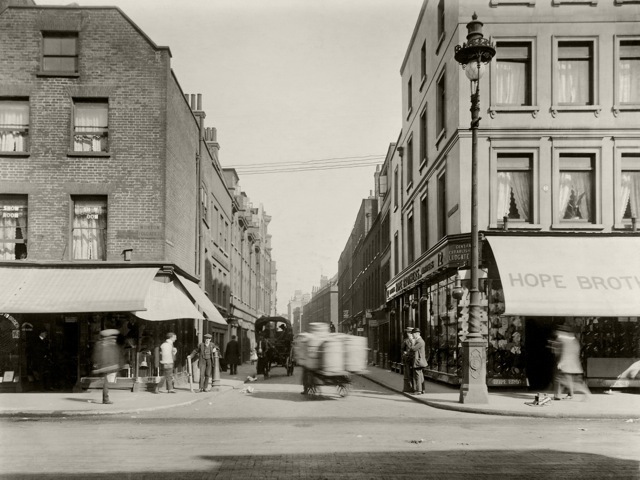 Sandys Row actually started life as a Huguenot church (circa 1763) and was later a place of worship over many years for various Baptists congregations. The local Jewish community – composed primarily of Dutch Ashkenazi workers – created a fellowship in 1854 and took ownership of the site in 1867. Utilising the chapel’s balcony as the women’s gallery, they also instigated a re-design to create the new main entrance on Sandys Row. The old entrance on the eastern side can still be seen today in its bricked-up form on Parliament Court, the alley behind the synagogue. It was relocated as the Torah Ark (a cabinet containing the synagogue’s Torah scrolls) needed to be housed on this side as it’s the closest to Jerusalem. Following the destruction of the Great Synagogue of London in Aldgate during the Blitz, Sandys Row became London’s oldest Ashkenazi synagogue. 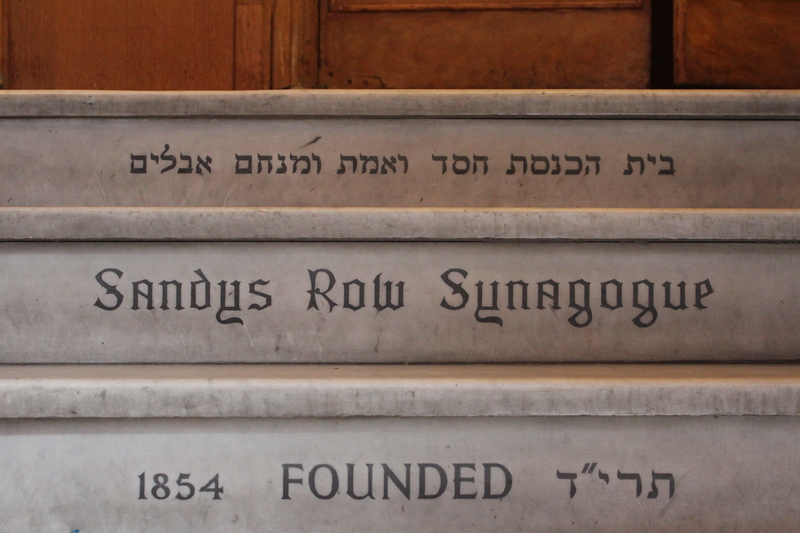 Today Sandys Row is Spitalfield’s last surviving, operational synagogue – in an area that was once home to a flourishing Jewish community. After years of a declining congregation, it has experienced a renaissance of late, with an increasing number of Jewish families moving back into the area and board members who are keen to open the synagogue to visitors. 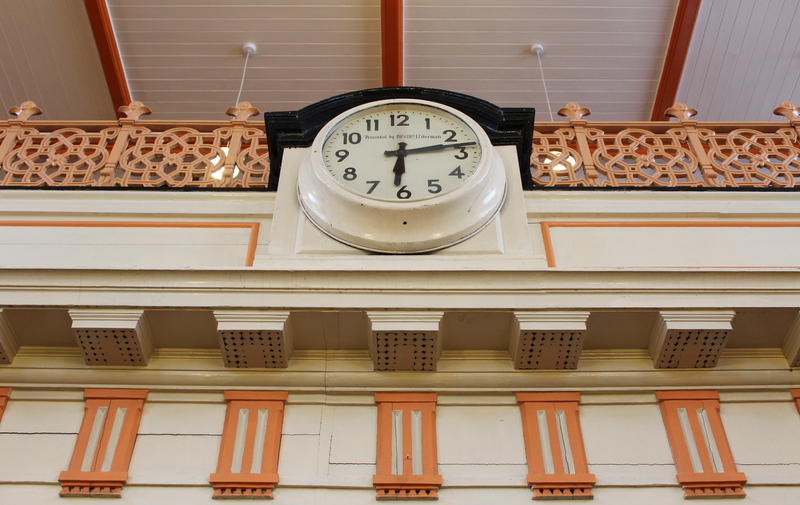 A recent £250,000 English Heritage restoration project allowed for the repair of the Huguenot roof, which had been badly damaged by vibrations from exploding bombs in the Second World War. 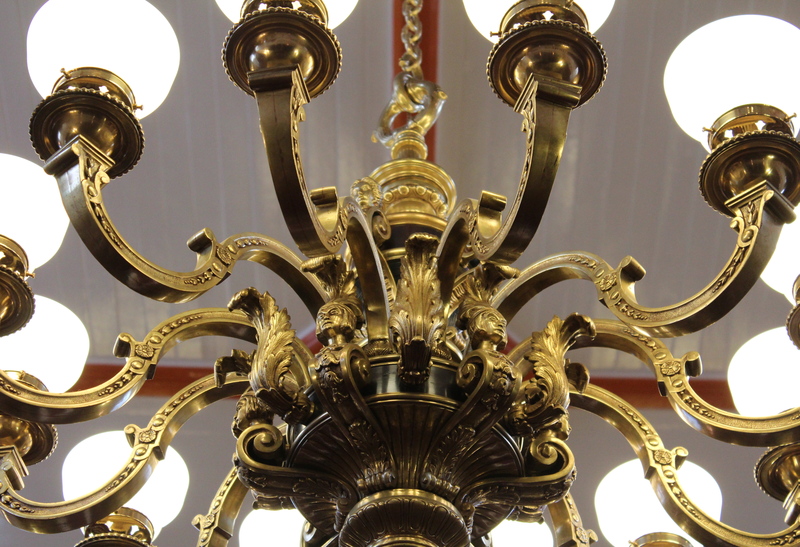 A rare glimpse of the human face in these lights – not usually depicted within synagogues. 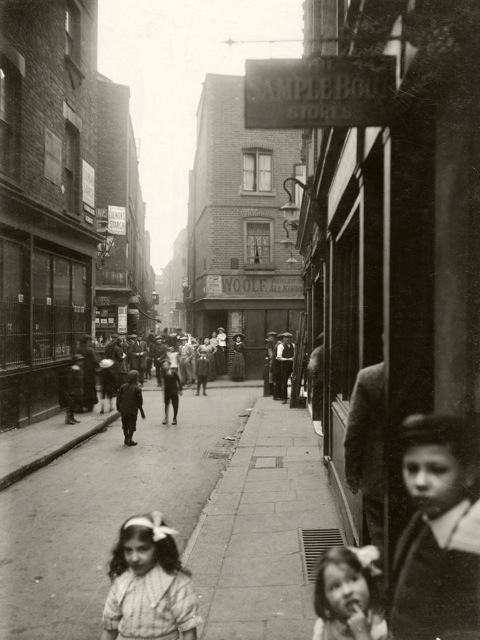 Currently on display in Sandys Row is a series of fascinating 1912 street photography of the local area by C.A. Mathew. Mathew was an Essex-based photographer – these photographs represent his only surviving body of work. 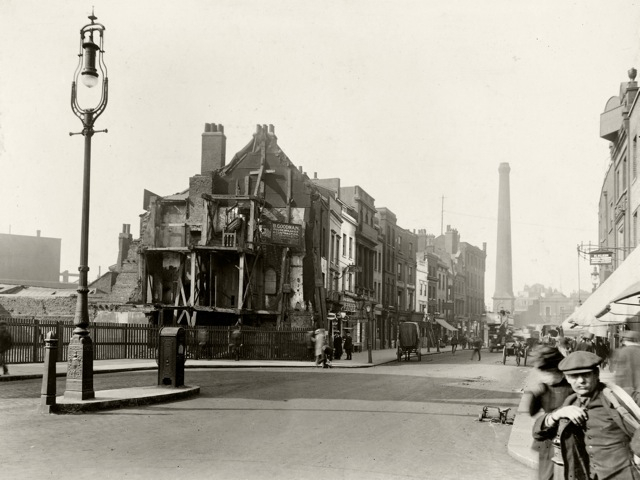 They show a heavily populated Spitalfields that is at once both familiar and unfamiliar: some areas have changed out of sight while others are surprisingly recognisable. 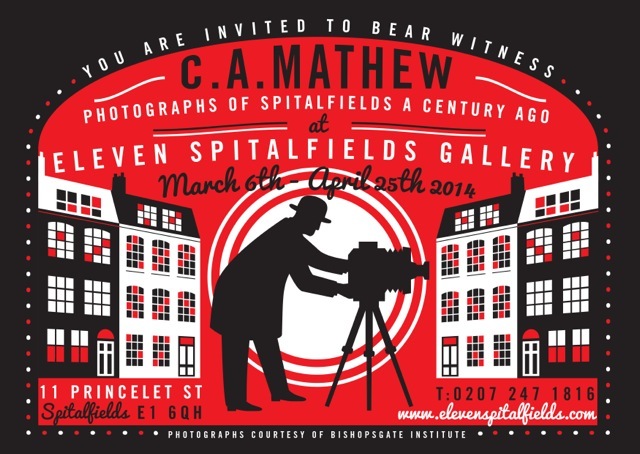 Anyone familiar with the wonderful Spitalfields Life blog will probably have read some of the Gentle Author’s pieces about Mathew’s work – or even about Sandys Row itself. 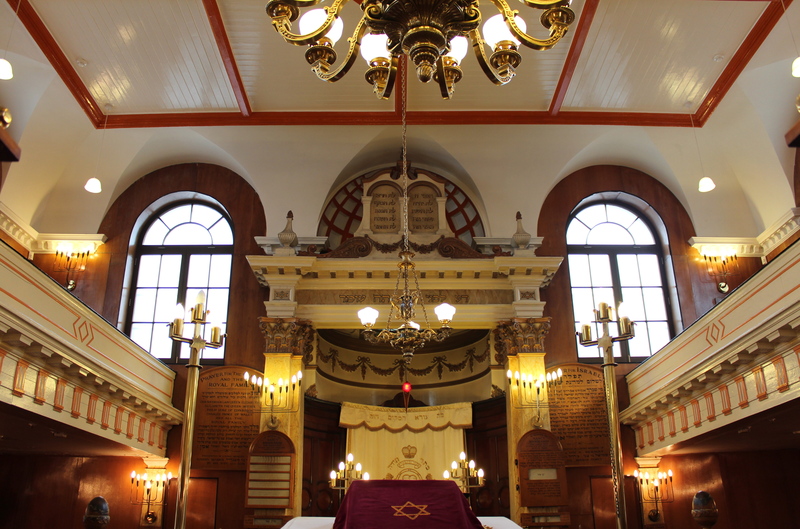 Mathew’s photographs will be on display until February 2013 – Sandys Row is open to the public on Sundays from 10:30am-4pm, but check their calendar to confirm as the synagogue may be booked for private events on some dates.